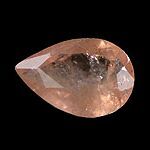 Eosphorite is one of the less common phosphate minerals that can be cut into collector's gems. 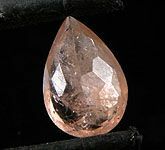 This stone, despite some eye visible inclusions, does have a very attractive peachy-orange color. 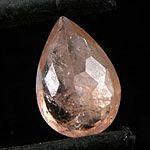 These stones are by no means common on the market, especially in gems over 1 carat like this "Pear" cut gem. 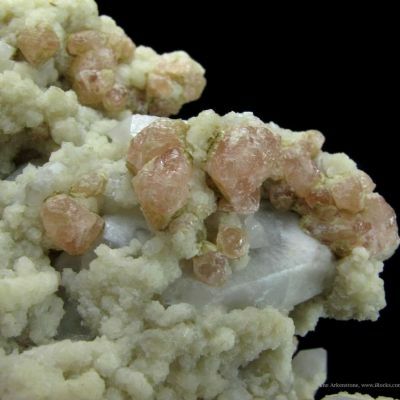 Keep in mind that the vast majority of facet grade Eosphorite comes from Brazil, and is almost never 100% clean.